As is known to all, an ordinary 1U fibre optic enclosure can contain at most 96 fibres. As a result, the more fibres you want, the higher enclosures like 2U and 4U you should choose. Given this, we have fixed our eyes on the hot issue and eventually launched the FHX fibre optic enclosure. FHX fibre optic enclosure, the high density rack mount fibre patch panel, easily supports today’s advanced data centre environments, while providing fast, seamless migration to 40/100G. 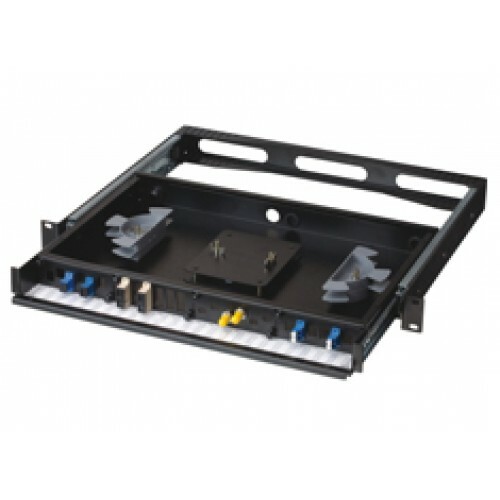 Though FHX fibre optic enclosure also adopts a 1U rack mountable design, it can house up to 144 duplex LC ports. What’s more, a fully loaded FHX fibre optic enclosure holds 12 12-fibre MTP-LC cassettes, 12 FHX fibre adapter panels (FAPs) or 18 8-fibre MTP-LC cassettes. Compared with traditional cable management devices that waste time, cause downtime and impede growth, the FHX fibre optic enclosure allows managers to use rack space more efficiently, and helps with ventilation while reduces heat. In short, it can meet the demand for high-density cabling in today’s data centres and simplify cable management while helping you maximize your return on assets and minimize downtime. FS.COM 1U FHX ultra high density fibre optic enclosure usually contains three sliding trays that each can accommodate 4 or 6 modules, which optimise space utilisation. Moreover, the trays coming with slide and lock capabilities greatly simplify connection management. Each of the split tray operates independently, keeping disruption at minimum. We can either put adapter panels or fibre cassette on the trays to further help the cabling solution. 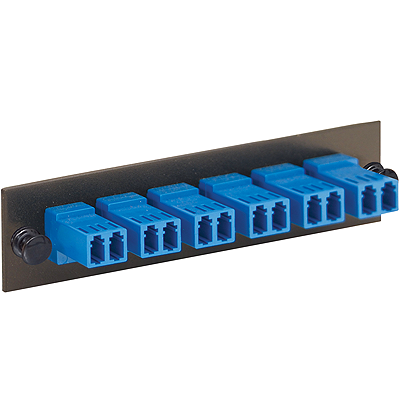 When it comes to adapter panels, the 1U FHX fibre adapter panels can hold up to 12 fibre adapter panels to provide a means to connect backbone-to-backbone or backbone-to-horizontal fibre cabling. When mounted with FHX cassettes, the FHX fibre optic enclosure is ideal to deploy a Base-8 connectivity solution for use in main, horizontal and equipment distribution areas. The FHX MTP-8 cassette is a kind of fibre optic cassette module that can convert a single lane of parallel optic signals into 4 discrete duplex LC channels, which is the optimum choice to be mounted into FHX fibre optic enclosure for high-density cabling in data centres, for the fact that the FHX ultra high-density rack mount fibre optic enclosure can hold up to 144 fibres in 1U space. With LC adapters on its front side and MTP adapters on the rear side, the fibre optic cassette can upgrade existing LC links to SR4 parallel optics by taking fully advantage of the fibres inside the cable. To sum up, capable of accommodating up to 144 fibres in a rack unit, the FHX fibre optic enclosure serves as the best fit for space-constrained installations. Also, the improved mounting brackets of this enclosure enables depth adjustment in the rack. For more information on the FHX rack mount fibre optic enclosure, contact customer service or call the hotline: 4008-652-852. This entry was posted in Cables Management and tagged fibre optic cassette, fibre optic enclosure, fibre patch panel on June 5, 2018 by Admin. As we have learned before, port density is a critical concern when choosing a patch panel. Usually the patch panel with more ports enables more connectivity. Common patch panels are always designed in 12 or 24-port configurations. Does it mean that the more ports one patch panel has, the better it will be? However, as far as I am concerned, it may not always be versatile because more ports means more money. Sometimes you just want a patch panel for household use, then a 128-port patch panel is a waste and you need to take care of the ports idled. If you haven’t determined which system you will apply it to, a 48 port patch panel may be a good choice. 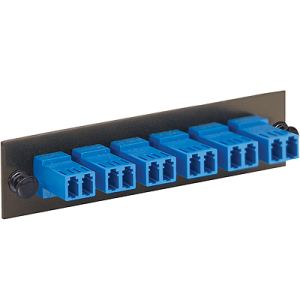 In fact, a 48 port fibre or copper patch panel is totally enough for home and office use. 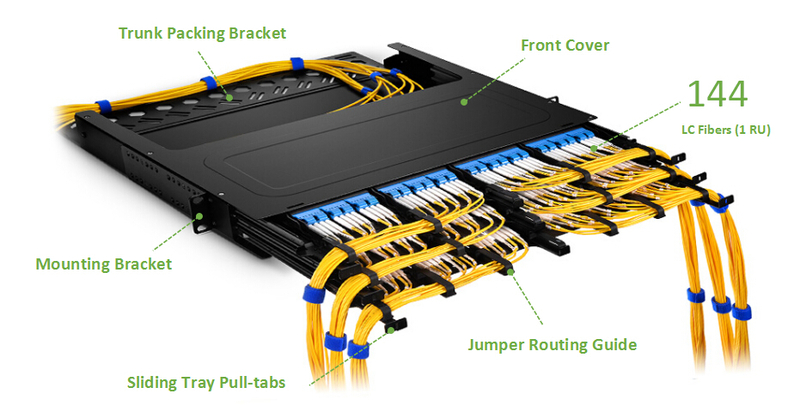 And the fibre patch panel also has two types as singlemode and multi-mode one. And the advantage of using a 48 port patch panel is that it allows manual monitoring, testing, switching, routing, and other maintenance to be handled quickly because the cables in the front that connect to the more permanent cables in the back are configured and made so that changes can be made quickly and easily when needed. With the copper patch panel, each pair of wires has an independent port. So copper patch panels offer simple and efficient interconnection in Ethernet applications. And when the front copper touches the copper in the back, a little bit of the signal is lost but not enough to worry about. Take the HD-48P-E1U 48-Port 1U Rack-Mount UTP Blank Keystone/Multimedia Patch Panel as an example, it manages and organizes the cabling in your network. The rear cable manager keeps cables neat, tidy and efficiently organized on the back of the panel. Ports are clearly numbered to help you identify connections. Both the copper and fibre patch panels can provide you with flexibility and scalability, because the network can grow and change on-demand, without the costly, labor-intensive hassle of replacing channels end-to-end. For more information about fibre and copper patch panel, you can refer to this Which One to Choose? Fibre or Copper Patch Panel. The fibre patch panel, 96 Fibres, 48 Ports LC Duplex 9/125 Singlemode Fibre Adapters, 1U High 19″ Fibre Patch Panel from FS.COM, offers the highest port concentration and bandwidth over high performance structured cabling to all network areas, whether in the data centre or in the high performance LAN. By managing varying port densities and speeds in a single high-density patch panel, you save valuable rack space, helping to lower data centre costs. 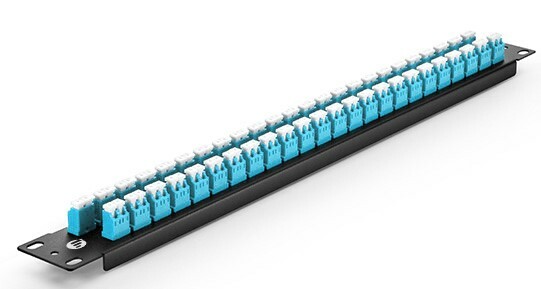 And the 96 Fibres, 48 Ports LC OM3/OM4 Multimode Adapters, 1U High 19″ Fibre Patch Panel can be used as a junction for 50/125 Multi-Mode Fibre with LC connectors. The panel fits a standard 19″ rack, and the LC connectors are standard sized too. Its high-density and easy maintenance allow a low initial investment cost. With it, you can only buy the devices you need now, while leaving room for future expansion. In a word, a 48 port patch panel makes it easy to organize the fibres in an business or home network.With a 48 port fibre patch panel, you can achieve a better cable management. Of course, one could skip the patch panel and just connect all connectors directly into the hub, however, you need to label the patch panel so you know which room the cable run goes to. But it is tougher to read than labels on a patch panel and also there is risk of having the cable labels fall off. All I want to inform you is that a 48 port patch panel is not expensive in FS.COM. Please feel free to contact us. This entry was posted in Cables Management and tagged 48 port patch panel, cable management, fibre patch panel on May 22, 2018 by Admin. Because the laser light is dangerous, and the ends of every fibre optic cable (have a small core) must be encased in some kind of enclosure. So, the fibre enclosure not only protects humans from laser light but also protects the fibre from damage. Fibre wall plates and fibre patch panels are two main types of fibre optic enclosures. As previously mentioned, fibre optic cables have a very small core that can be easily damaged if not protected properly. Also, to be consistent with the minimum size of a fibre optic loop and not violate the critical angle, we need to have a way to keep excess fibre optic patch cables, as well as terminated building fibre, neat and protected from damage. Fibre optic wall plates and patch panels allow the cable installer to protect the delicate fibre cable from damage, while still making it usable for the network administrator. A common device that is used as a fibre optic cable enclosure is called a Lightguide Interconnection Unit(LIU), as showed in Figure 1. The LIU provides a location to terminate individual fibre optic strands into a patch panel, which will be discussed in the next article. A LIU is generally made of galvanized steel that is then powder-coated to provide durability. Most major LIU manufacturers make their devices 19 inches wide so they can be installed in a normal communications rack, If the LIU is to be located in an environment where there is a risk of moisture or corrosives, the LIU can be sealed with gaskets to make it virtually waterproof. Most LIUs have swing out trays in the front and the back to provide easy access to the patch panel to ensure that all loops are a minimum diameter, so the cable will not get damaged and maximum light can traverse the cable. What Is Fibre Adapter Panel (FAP) and How to Use It? Patch panels for fibre optic cables also called fibre patch panels, which are usually installed into the LIU. Because the core and cladding of two fibre optic cables that are to be joined together must match perfectly, the fibre patch panel must be manufactured to exact specifications and some standard type connector must be used to ensure a good fit. 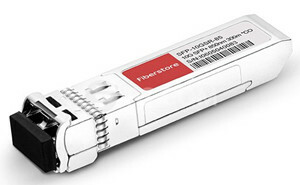 (fibre option connectors are discussed in the next section.) Another fibre patch panel issue deals with attenuation. Remember from the previous article discussed that when you splice or join a fibre optic cable, you can introduce additional light loss or attenuation. The same holds true for the fibre optic patch panel. The connectors on the patch panel should identify the total loss at various wavelengths, and these losses should be added to any other cable loss on that particular cable to ensure compliance with the standard and good operation of the fibre optic cable. Figure 2 is an LC adapter panel. Fibre Adapter Panel (FAP) is used for patching a fibre cable to the enclosures like fibre wall cabinets, rack mounts fibre cabinets or rack mount fibre shelf. It allows you to make quick and easy fibre patch panel connections as they can snap into the fibre optic enclosures easily. Fibre adapter panel is designed to fit fibre optic blank patch panel, rack and wall mount enclosure. To purchase this kind of fibre adapter panel, please visit www.fs.com. This entry was posted in Fiber Adapter Panel and tagged Fibre Adapter Panel, fibre enclosure, fibre patch panel on October 30, 2014 by Admin. Optical fibre has been used as a medium for telecommunication as well as networking because it’s flexible enough and could be bundled as cables. Optical fibre has been especially advantageous for long-distance communications because light propagates through the fibre with little attenuation compared to electrical signals carried by conventional wire cables. Over short distances, for instance networking within a building, optical fibre interconnect cables save space in cable ducts because a single fibre can carry more data than a single electrical cable. Various fibre optic cable connector and adapter designs can be used to meet the requirements of corresponding Fibre Optic Connector Intermateability Standard (FOCIS) documents. Note that the term adapter, when used in reference with optical fibre, has been defined by the optical fibre industry and standards organizations as a mechanical termination device designed to align and join two like optical connectors. In some designs, fibre adapter plates provide the means to support and align the interconnection of connectorized fibre optic cables in structured voice or data cabling networks. Conventionally, fibre adapter plates use a metal or plastic plate or support panel having a number of cutouts to accept discrete fibre optic adapters which are typically linked to the adapter plate by screws or clips. Therefore, these adapter plates use a removable attaching mechanism (e.g., screws, clips, latches, etc.) to attach the adapter plate to an enclosure or patch panel. However, such conventional adapter plates suffer from drawbacks due to the assembly of so many discrete parts. For example, alignment of the connecting optical fibres is crucial to minimize loss across the adapter. While internal fibre optical interface details (e.g., alignment, cable separation, etc.) are specified by rigid standards, the adapter to adapter plate connection is more springy. As a result, excessive tolerances can result in additional mechanical play between the adapter and the adapter plate which can, sometimes, to enable excessive stresses and bend radii of the connecting fibre optic cables. As a further example, such conventional assemblies by their nature require costly assembly steps. As a cost saving measure, some of the assembly steps can be passed on to the end user. However, this can lead to increasing set up time, having costs of its own, and can result in end user frustration. Furthermore, conventional adapter plate panels are often unlabeled or stamped with labels that are hard for the end user to ascertain, specially when the adapter plate is fully outfitted with adapters and cabling. It is thus desired to provide fibre adapter plates that improve upon these and other deficiencies of conventional fibre adapter plates. Fibre adapter panels provided By FS, loaded with LC, SC, ST, FC, MT-RJ, MPO and unloaded blanks. With products compatible for trusted brands including Black Box, Wirewerks, Mr-technologies, Corning, Leviton, Panduit Opticom adapter panel and more. This entry was posted in Fiber Adapter Panel and tagged Fibre Adapter Panel, fibre patch panel on October 27, 2014 by Admin.